On today’s episode of Delta Dispatches, Simone and Jacques are joined by Eric Carnegie, Owner of Jolie Pearl. 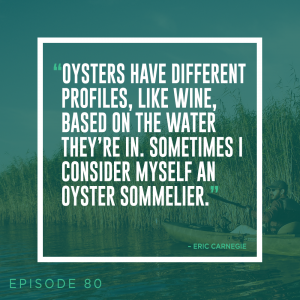 He talks about his background, how Jolie Pearl got its start and how oysters differ depending on where they are sourced, off-bottom production and much more! Continuing on the theme of oysters Christa Russell, Restoration Program Assistant with CRCL joins the program to talk with Jacques and Simone about their oyster shell recycling program, what people can expect when they volunteer and the latest stats on the oyster shell program.